In anticipation of the exhibit Witness: Art and Civil Rights in the Sixties, the Blanton Museum of Art presents SoundSpace: Free Music and Community. Featuring simultaneous music and dance performances throughout the Blanton's galleries, this ninth installment of the SoundSpace concert series is inspired by groups of improvisers who, beginning in the 1960s, connected with their local communities through performance, art, education and outreach. 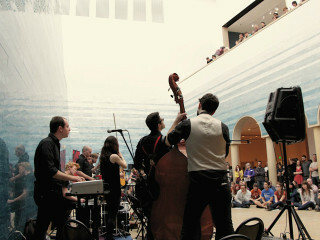 Go the Blanton website for a full lineup in this immersive concert experience. Included with museum admission fee.